We just completed an amazing 10 day journey in Israel. Our trip has been amazing. Our goals for this trip have been surpassed. Our students have connected to Hashem, their land and their history. More important they have connected to themselves and their peers. These past 10 days the students have done things they did not even imagine possible. They have also worked together as a unit. Now our task will be to keep this momentum going and bring Israel back home. LYA thanks Rabbi Chaim and Morah Rochel Leah Kosofsky and Miss Malky Kosofsky for their amazing presence as chaperones on the trip. They brought out so much excitement and enthusiasm in all of the students. Our last stop was the cave where Eliyahu Hanavi hid from Achav in the book of Kings. We studied this last year in Navi. It was very special to end our trip davening mincha at such a holy site. Thank you Eyal for a beautiful davening. We began our trip with mincha at Shiloh and ended with mincha here. Our trip has come full circle. Eliyahu had to go into hiding since the king was upset at him for taking away the rain from the people. Israel was now in a drought. While in the cave Hashem sent ravens to feed Eliyahu. Not far from the cave is Mt. Carmel where Eliyahu had a show down with the idol worshipping prophets of the Ba’al. The cave is now a popular stop in Israel. It has been turned into a min shul. When we got there a man all dressed in white was blowing a shofar. We know he was anticipating the redemption and was awaiting Eliyahu to come and tell us that Moshiach had arrived. Our next stop was Acco. Acco was originally built during the Crusader time period when they ruled over Israel. It was a large fortress built to protect the Crusaders from the Muslims. Under the British Mandate the fortress was turned into a prison for Jews that the British felt were dangerous. Many of the Jews that were arrested were young men who had escaped Nazi Germany with one desire - to live in a Jewish homeland. The pictures we saw of the prisoners showed the average age was 18-22. Under the British Mandate there were three groups resisting the British. The Hagana was the main group who cooperated the most with the British and showed the most restraint. The 2nd group was Esel, who were middle of the road. The 3rd group, Lechi never cooperated with the British. These 3 groups at times did not cooperate with one another. The British handed out sentences based on which group one was attached to. We found out that Mushka and Menucha Rochel’s grandfather was also a prisoner at Acco. We saw the horrible prison conditions that the British had for all prisoners. They slept in small cells and were only allowed very little sun light. The outside was allowed to send in food and provisions. We saw how the Jews cleverly hid information in the middle of toilet paper rolls and in the bottom of food jars. The 3 resistant groups did work together to mastermind a breakout of the jail. They were able to get explosives in to the prison. In all 27 prisoners escaped. Rabbi Kosofsky led us through “Kel Malai” for the Jews who lost their lives. It was a truly moving moment, one we will not forget. Our next stop was to the Tunisian Shul in Acco. This shul was started by Sephardic Jews of this North African Country in 1955. Upon entering the shul it is not clear where to look first. The entire, and we mean entire shul is full of mosaic pictures. There are scenes from every story in the Tanach. There are mosaics for the 12 tribes and famous sites in Israel. In addition modern history is represented. It is amazing to look at the detail. The women’s section has stories of Sara, Rivka, Rochel and Leah as well as the blessings of mitzvoth associated with women. The aron holds many Torah scrolls and behind the scrolls are even more mosaic tile pictures. We took many photos and were continuously in awe at every turn. Some of us decided that focusing on davening would be challenging while in the shul. There is nothing more spectacular than seeing Hashem’s creations in action. Rosh Hanikra is at the border of Israel, Lebanon and the Mediterranean Sea. After taking a cable car down we walked through the grottos created by the crashing waves. After some students heard that there was a cable car, they informed us that they would not be walking Rosh Hanikra like Masada. We let them know that (phew) one cannot walk up or down Rosh Hanikra. Walking through the tunnels and viewing the grottos is breathtaking as you see how the waves crashing have created caves. It was here that the chilazon (snail) was found and used for its dye to create the turquoise color for the mishkan and later Beis Hamikdash. This is specialized process that the families who produced the dye did not share with anyone. Rosh Hanikra had trains that ran through it bringing supplies to the British. The Hagana blew up these tracks and bridges before the War of Independence to stop the British. While we walked through the grottos we heard hissing sounds from above. Guess who lives in Rosh Hanikra? Many bats. Thankfully we only heard them and saw them from a distance. We also passed through what they call Lucky Bridge. It says that anyone who passes through will have good luck. This is the location that pigeons make their nests to take refuge from the weather. The sign said to watch out for the pigeon droppings. We took the sign very seriously and were surprised to note that they bring good luck. This was something we chose not to test. On our last day in Israel we all enjoyed the grand Israeli breakfast for the last time. We then began our day with a tour of Kibbutz Lavi. Ellis was our tour guide. He has lived on the Kibbutz for 50 years and originally comes from Baltimore. Kibbutz Lavi is an Orthodox English speaking Kibbutz. In addition to agriculture, their source of income comes from the hotel and beautiful synagogue furniture. The furniture in Bnai Torah comes from Kibbutz Lavi. They ship all over the world and have furnished 5,730 shuls to date. Kibbutz Lavi originated in 1949 with immigrants who escaped Germany and Austria in a Kindertransport to England. These children made their way to the Golan and found nothing but rocks. Now it is a beautiful kibbutz. When Ellis came in 1968 he said they were still clearing rocks. Today there are 120-130 families living there. (530 people). The hotel on the Kibbutz began in 1962 as a group of small houses. At that time there were not many hotels in the Golan with English speakers. Since the kibbutz had many English speakers, people began asking if they could stay. Since 1962 the hotel has been expanded twice and we saw that they are enlarging the dining room. The hotel is very busy. We later found out that the Kibbutz graciously accepts one school group at a time at a discount. School groups need to reserve a year in advance. 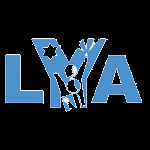 We now understand why MyIsraelConnect contacted LYA in Jan. of 2018 to reserve our spot. Ellis explained how he does not receive a salary, but he receives housing, electricity, medical, water and food. He receives a stipend for clothing and transportation. His stipend is cumulative, so he can save it from year to year to use it for larger needs. He explained that today about 80% of kibbutzim have privatized and are not run purely by socialism. The greatest challenge to kibbutz life today is that the children do not want to live there anymore. Kibbutz Lavi is working on solving this issue. We sat in the Kibbutz shul which has been enlarged to accommodate all of the families. Outside the shul is a beautiful mosaic platform of the ten tribes. It is here that chuppahs are set up for weddings. The kibbutz has a special section of rooms dedicated to lone soldiers, who are welcome to hang out during their off time at the kibbutz. While most of us could not imagine living on a kibbutz, we enjoyed learning and seeing how kibbutz life has affected Israel. Our last stop on a very busy Tuesday was Tevarya. Tevarya is one of the 4 holiest cities in Israel. We were blessed to have visited all four. Yerushalayim – home of Beis Hamikdash, Chevron – resting place of our patriarchs and matriarchs, Tzefat – city of kabbalah and now Tevarya – place where the Talmud Yerushalmi was written. At first one may think that the Talmud was written in Yerushalayim, since that is part of its name. However, the Romans did not allow Jews to live in Yerushalayim and Jews moved up north to the Galillee. The rabbis wanted our thoughts to always be focused on Yerushalayim, so the name reflects Yerushalayim. Our first stop was the grave of Rambam, Maimonides. Rambam is someone that we know very well. Each day at school we begin hearing the daily Rambam from Rabbi Noach Kosofsky. It was very meaningful to daven there. Rambam is well known for many things, but one of his greatest works is called Yad Hachazaka, which is a series of 14 books. The numerical value of yad is 14. As one ascends to his grave, you pass 14 pillars with the names of the books recorded. Israel has updated his gravesite with an updated floor and benches. Next to Rambam is the grave of Rabbi Yochanan ben Zakkai. He is a rabbi who lived before the destruction of the 2nd Temple and he is credited with saving Judaism. As Yerushalayim was under siege, he snuck out of the city to meet the General Vespasian, who granted him 3 requests. One was to save the wise men and the city of Yavneh. Rabbi Yochanan understood that the destruction was inevitable, but he knew Torah study must go on. The fact that we are here today is due to his vision. The Shaloh, Yeshiah Halevi Horowitz is buried here as well. The Shaloh lived in Europe and went to Israel in 1621. Rabbi Chaim Kosofsky studies much of his work with his father. It was very special for him to be there. Our final site was to R’ Akiva, who we have heard about since we were children. We learned that R’ Akiva was a simple shepherd, who began studying Torah at the age of 40 and became a very famous Rabbi and teacher of 24,000 students. R’ Akiva is best known for his mantra of Ahavat Yisroel, to love everyone. Before we entered the grave to daven, Morah Kosofsky spoke to our group about how we have been living R’ Akiva’s lessons while on this trip. It has been beautiful to see the positive interactions and friendships that have formed. Our tefilot were definitely very meaningful here. It was back to the hotel for a delicious meal, journal writing, mariv (with Kobi as chazzan) and packing. Our next stop on our very busy day was to Kibbutz Elrom to view a movie about a strategic battle that was fought in what is now known as the Valley of Tears during the Yom Kippur War. The Kibbutz itself was founded in 1971 just 2 years before the battle. Kibbutz Elrom is located in the Golan and is known for its agriculture and studio, which adds subtitles to the majority of films in Israel. We entered the movie theater and saw a newly produced movie about the bravery of the 77th tank battalion led by Avigdor Kahalani. The story is told through the eyes of the members of the battalion, which makes it very emotional. Ten days before the Yom Kippur War, the 77th battalion was called up to the Golan to secure the area. According to their intelligence, it appeared that the Syrians would attack in the evening. Bombs actually began to drop at 1:55 p.m. on Yom Kippur. The Israeli forces were actually meeting to plan their strategies and were caught off guard. Avigdor Kahalani was a survivor of a fire during the Six Day War and now led a battalion of tanks outnumbered 1 to 10 in the Golan. He understood that his battalion was holding down the security of all of Israel. If the Golan fell then many Israeli’s were at risk. Through real footage we heard the commands and the emotion that was occurring during the battle. Oz 77 held off the Syrians for 3 days. The end of the battle was miraculous as one of the Israeli tanks had no shells and Kahalani did not give up, but ordered his men to advance. Advance they did and thank G-d they won. 300 Syrian tanks were actually found abandoned after the battle. Israel lost 840 soldiers and 3,000 were wounded on the Yom Kippur war. Some things cannot be explained without the intervention of G-d. Hashem is constantly watching over His people and land. After the movie, we visited Har Bental, which is 1,165 meters above sea level. It very clear to see (even with the clouds) that the Golan is crucial to the security of Israel. We thank the soldiers and members of the 77th battalion for their bravery for the land of Israel. Our next stop of the day was Gamla. We first took a short hike and saw some more beautiful views as well as a griffin vulture flying above us. Israel has a nesting program for these birds. The griffin vulture only lays egg ounce every other year. Sometimes trains and planes creates tremors and cause the eggs to fall out of their nests. Israel’s nesting program assists Israel’s largest bird of prey reproduce. As we continued our hike, we came to a beautiful edge that overlooked the city of Gamla. Gamla got its name from a gamal, camel. The mountain top literally looks like the hump of a camel. This city was a busy place during the 2nd temple era. As Vespasian, the Roman general entered Israel, he set his army on attacking the north as he made his way down to Yerushalayim. Unfortunately Gamla fell in a very tragic manner similar to Masada. Over 4,000 Jews died there, many of them taking their own lives rather than fall into the hands of the Romans. Only 2 women survived from the entire city. We could see the ancient shul of Gamla and how it was set up similar to the shul in Katzrin. We also saw the Roman encampment that attacked the city. After lunch in downtown Kaztrin, we went to visit ancient Katzrin from the Talmudic time period. Our 1st stop was at a home that showed us how people lived. Upon entering and kissing the mezuza, we saw the small kitchen, where we could visualize how cooking over an open fire occurred. We then entered the main living quarters which had benches and a small table. As sat down we saw a ladder that led up to a loft bedroom. One would climb up the ladder to get to the next floor. Alex told us that the loft room was for the parents. When one wanted to perform the mitzvah of having guests in the highest level, one would give the guests their loft room. At the same time, you did not know if you could trust the people. In one story Rabbi Chanina ben Dosa moved the ladder from the room. In the middle of the night they heard their guest fall out of the loft after trying to steal their things. He did realize the ladder was gone. We then davened mincha in a beautiful ancient synagogue. It was very meaningful to daven in a shul that was established after the Beis Hamikdash was destroyed. Zev led us in a beautiful tefilah. In Katzrin we saw wild goats and peacock. We also saw a olive and pomegranate trees. We met our new tour guide, Alex Milkin who made Aliya from NJ. He is married and has 4 children. As we drove through the Galil he quizzed us on our knowledge of the tribes that lived there. We drove through the portion of Yissachar and Zevulun. Alex also talked about the landscape and the difference of valleys that are formed through erosion and tectonics. Yosef knew the difference and explained it very well. Misgav Am is a kibbutz established in 1945 by Holocaust survivors from Romania. There are 350 people living there and in addition to agriculture, they make money from tourism. They are right on the border of Lebanon and the view is breathtaking. We were spoken to by Besalel, who is a direct descendant of the Shpolor Zaide. Sara and Riki who are also descendants enjoyed meeting a relative of theirs. Besalel explained to us how it is to live with Lebanon and Hezbolah as your neighbors. There is an army base on the kibbutz because of its location. Besalel’s son talked to us about his service in the IDF. We were honored to meet 2 Druze IDF soldiers and hear 1st hand their dedication to the land. The people we met have a special love of the land of Israel. Then Amir asked us where these universal Jewish answers are in the Torah? Well, we knew that while they are not in the written Torah they are explained in the Mishna and gemara. That is the purpose of Kfar Kedem, to bring this time period to life and show that the information there is just as relevant today as it was when it was written. We dressed up in period costumes and made our way to a field where we learned about how farmers bridged the agriculture laws and the work of the land. We saw how they planted, sowed, cut and threshed. Most important was how the farmers prayed. There was no siddur and they davened from the heart, because bottom line without rain nothing would grow. We then crushed what seeds to make flour. We also made our own flat bread on a fire pit and ate it fresh with zaatar. Then it was off to the donkeys. Amir taught us how to go on the donkey and lead it around. To make the donkey go you say “chi, chi” and then click with your tongue. To make them stop you say “aish, aish”. Amir explained that we are in charge and not the donkey. The Hebrew word for donkey is ‘chamor” which also can be re-arranged to make the word “chomer”, which means material. This is a life lesson that we always need to be leading our material and not let the material lead us. We broke into partners and had loads of fun riding. Some people were more successful than others, but we all had a great time. We then ate supper tana style on low seats with a collective plate of pita, salad, rice, chicken and meat kabobs. The food was delicious. Guess what we all have special donkey license! We said good bye to Yoni, who is taking a course the last 2 days of our trip. We really enjoyed seeing Israel with Yoni. Tzefat is one of the 4 holiest cities in Israel. Even though the weather was a bit rainy it did not damper our trip one bit. As we entered the city, Yoni showed us some tall high rise style buildings. Yoni explained that the Rebbe sent emissaries to Tzefat with the directive to build Tzefat like an American city. That is why they built taller apartment buildings, because that is what they are used to in NY. Our first business in hand was to eat lunch. During lunch we had some visitors. Bryna returned to see us, as well as Tzvi’s sister, Sara’s brother and Riki’s cousin. Some of us enjoyed pizza and others falafel. But we all enjoyed an ice cream treat – thank you Mrs. Brown. Tzefat’s history dates back to the 16th century and that is when Tzefat developed its spiritual personality. But before we go back to that time, let’s look at some more modern history. In 1947 when the UN voted for statehood for Israel Arab countries and Israel where preparing for an inevitable war. Tzefat was no different. Until this time the Jews and the Arabs did get along and lived side by side in harmony. Unfortunately now politics got in the way and when the British pulled out of Tzefat in April pf 1948 there was a battle to gain control of Tzefat. Israel attempted to blow up a British police station, but 3 soldiers lost their lives in that attempt. Interestingly Israel; used the Davidka, a weapon that shot mortars to win the battle. They only had 3 of these weapons, but kept moving them around to give the impression of having more. The Davidka’s bark was worse than its bite. In 1948 the memories of the atomic bomb where very much alive and the Arabs believed the rumors that Israel had developed one and was shooting it at Tzefat. This assisted Israel in securing Tzefat before the War of Independence. We stood outside the Davidka and the police station as we heard of the miracles that Hashem performed for Tzefat. Our 1st stop was the Arizal Askanazi shul. The Arizal was a famous kabalistic rabbi who lived in Tzefat. There are 2 shuls that have his name. One is sephardi and one ashkenazi and the Arizal davened at neither one because they were not built when he was alive. The Arizal shul that we were in was built in a spot that the Arizal and his students would go to every Friday and greet Shabbat. They spent hours davening to Hashem in the fields that overlooked Tzefat. It was here that his students, R’ Shlomo Alkibetz composed Lecha Dodi and R’ Eliezer Azkari composed Yedid Nefesh. Rabbi Kosofsky explained to us about kabala and the way that we use kabala to see all of the things Hashem created and how every time we do a mitzvah we are bringing this special light into the world. We mentioned there that we daven nusach Ari in school. In 1948 a rocket was shot into this shul. B”H it was shot as ‘Barchu” was being said. The man standing near the bima bent and was not hit. The shrapnel flew in and lodged in the bima. You can still see the mark it left today as a reminder. Next we stood outside the Kosov shul which was dedicated to the community in Kosov that perished in the Holocaust. This is also the shul where a famous story occurred when the Arizal was alive. In brief the Rabbi had talked about the lechem hapanim and how it was a gift of bread for Hashem. A simple Jew used to then put challah each Fri. in the aron and a poor Jew would take them each Fri. night. The simple Jew thought G-d took them and the poor Jew thought G-d gave them. Eventually the secret was found out. This is the basis for the PJ story Bagels for Benny. Our next stop was the Abuhav shul. This shul was originally built in Toledo, Spain. The Jews from this shul walked from Spain to Tzefat after the expulsion. Their desire was to build a shul just like the one in Spain. They bought together a plot of land and began to plan. Every time they gathered to plan they argued over the design. One night after an especially heated fight each Jew went home and prayed for a solution. The next day when they came to the site, they could not believe their eyes – the shul was there. If you cannot believe that, wait until you read this. A few weeks later they received an apology letter from their friends back in Spain, who wrote that they don’t not know what happened to the shul. The letter was dated the day the shul arrived. Believe it or not!! In Tzefat we visited the famous candle factory and bought more souvenirs. Our plans changed on Monday due to weather and the hike on Arbel was canceled. Instead we took a hike on Mount Meron, which is the 2nd highest mountain in Israel. You can just imagine the amazing views of the landscape that we saw. The hike was not strenuous, but we did need to focus since there was loads of mud. While hiking we met a group of tourists speaking Russian. We also met many teenage students from Acco. They were very friendly and kept welcoming us to Israel. It was really beautiful to pass them. After our hike we continued to the grave of Rabbi Shimon bar Yochai and his son, Eliezar. Sima met a family she knows from Acton who were in Israel celebrating their son’s bar mitzvah. We entered the grave site and davened tehilim there. Rabbi Shimon bar Yochai (Rashbi) was a tana who lived under Roman rule. He was quite vocal that he did not respect the Romans at all. Due to his opinions he was forced to hide in a cave for a total of 13 years. The cave was in Peki’in and not Meron. We all recognize this story from the Lag B’Omer holiday that commemorates the Rashbi’s yartzeit. Yoni told us that the Talmud Bavli has the story of the Rashbi written the way that we learn about it in school. In Talmud Yerushalmi though there is a slightly different version of how Rashbi came out of the cave. This is something we will research more closely when Lag B’Omer comes. Morah Kosofsky told us a story of a 3 year old boy who died in the grave site on Lag B’Omer during the rule of the British Mandate. The family had come to cut his hair as thousands of Jews do each year. The British soldiers quarantined the area immediately due to fear of epidemic. When the area was fenced off it separated families. The mother went into the cave and prayed. “Rashbi, I came here 3 years ago to pray for a child and now that child is gone.” She prayed for a miracle. In a few minutes a small faint voice was heard calling, “Ima”. It was a miracle as can only happen at the grave of a tzadik. The boy was alive. We are blessed to have an amazing bus driver, Moshe Ilan. He is a great driver and very friendly. We love having Moshe drive us around. Moshe lives on a moshav not far from Kibbutz Lavi up north. He has children and grandchildren. If there is time he will take us there. We would also like to let you know that we were so excited to find out that Moshe was one of the soldiers who liberated Jerusalem during the Six Day War. We interviewed Moshe about his experience. He was very modest about the entire event. Here is what he told us about the experience. Moshe was a paratrooper in the IDF. During the battle for Jerusalem, they did not paratroop in, but walked. His group of soldiers walked in through the Augusta Victoria section, where there was a Jordanian hospital. He recalls that there were hundreds of Jordanian soldiers. The soldiers shot at the Israeli soldiers. It was a tough battle. He also saw many Jordanian citizens who were throwing rocks at the Israeli soldiers from the street level and from their porches. Moshe recalls the first moment he saw the Kotel. Tears were streaming down his eyes as he gazed at the Wall. Moshe said it is a day he will never forget and will remember for the rest of his life. Moshe told us that many of his friends died in the battle, some even at his feet. After visiting and davening at the Kotel, we feel a deep sense of gratitude for Moshe. We thanked him and clapped for his bravery so we could visit the Kotel today. Moshe still keeps up with his army friends. He says that they are his closest friends in the world. He explained that while in the army you know that your life is in the hands of your friends and you are responsible for their lives. These are relationships that cannot be measured. Thank you Moshe. We are honored to know you.